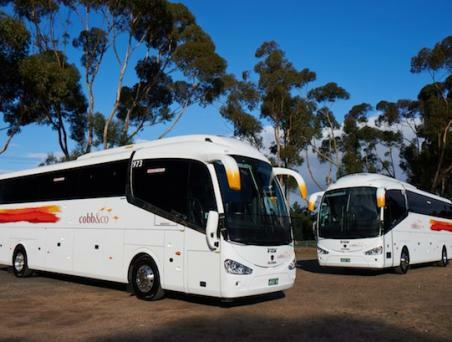 Cobb & Co is a 5-star luxury coach company located in Melbourne, Victoria. Ever since January 1854 when the first Cobb & Co coach left the Criterion Hotel in Melbourne, bound for Forest Creek, we have been the number one name in Australian luxury coaches and an integral part of the spirit that drives Australia. Today the Cobb & Co name lives on-partnering with some of Australia's, and the world's best tour operators to help explore new ways of making the true spirit of Australia more accessible to everyone.